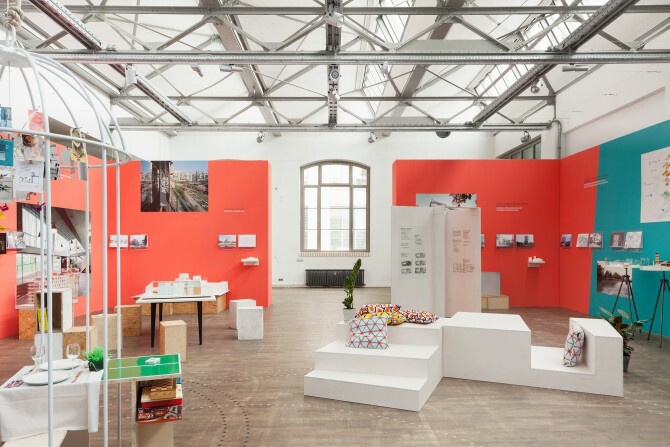 AA PROJECTS conceives and realizes interdisciplinary projects on future oriented themes in the realm of architecture and urban planning – in the form of exhibitions, publications, conferences and discourse events as well as interventions in public space, for private and public institutions and initiatives. AA PROJECTS is engaged in the production of space in contemporary society. AA PROJECTS designs and implements projects in the form of exhibitions, publications, blogs, and discourse events. AA PROJECTS develops communication strategies as an integral part of our work on projects. AA PROJECTS develops the spatial, graphic and installation design for exhibitions. AA PROJECTS consults companies, and institutions concerning architecture and sustainable urban development internationally.